Comment: I have river rocks cemented to a cement wall and about half of them have fallen off. I need them re-adhered to the wall. Comment: I need to install 30 column blocks on top of a concrete slab. 5 columns, 5 blocks high. I have the materials, I need someone to do the work. Thank you. Comment: We have a stone porch that is cracking and leaning that needs to be rebuilt. Comment: 56â wall is starting to lean in toward my house. Itâs on the property line and need to be replaced. Comment: I would like to get an estimate for I live on a cul-de-sac. My neighbor to my right share a block wall, but my neighbor behind me and on my left share an old wood fence. I would like to get two estimates. One for the one I will share with my neighbor behind me and one I will share with the neighbor to my left. This will I can speak with both about sharing the costs. San Dimas Brick & Stone Masonry Contractors are rated 4.64 out of 5 based on 865 reviews of 7 pros. 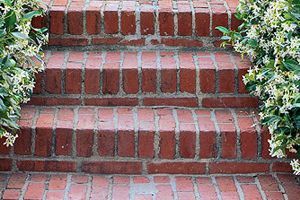 Not Looking for Brick & Stone Contractors in San Dimas, CA?